Tap yourself on the back for being a savvy car shopper! You have just found some of our best deals on new and used vehicles in the Tampa area. Hurry these deals don't last long, so click the vehicle you are interested in and start saving today. Not quite what you are looking for? Our manager’s specials are changing all of the time so be sure to check back with us here frequently! Retired Demonstrator Special - *** Only 1,500 Miles *** - ST Performance Brake Package - Navigation - Panoramic Sunroof - Ford Pass Connect 4G WI-FI Modem! 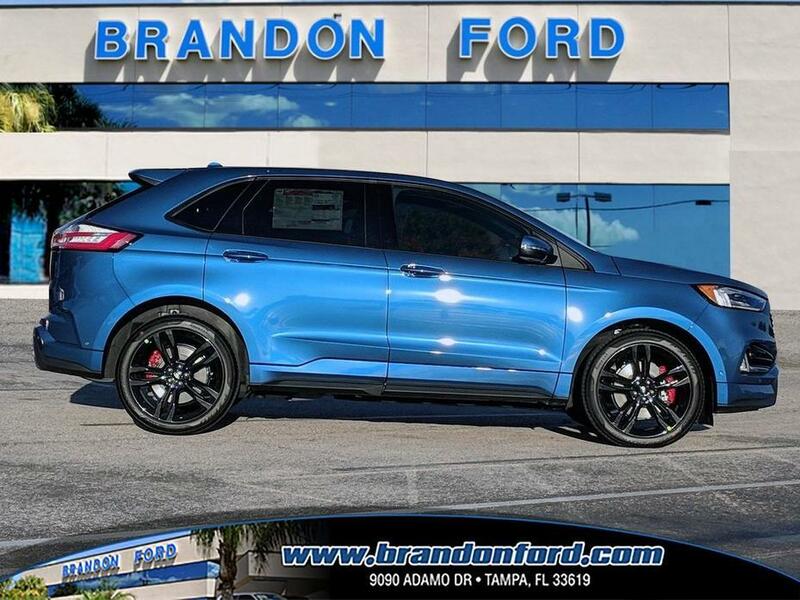 This vehicle has been equipped with a hands-free foot activated power liftgate, 21'' premium painted aluminum wheels, trailer tow package, intelligent access entry, a back up camera, reverse parking assist system, and a remote start system. Interior options include premium leather trimmed seating, climate controlled front seats, a touch screen radio, voice activated sync system, adaptive cruise control, B&O play premium sound system, pre-collision assist, and a leather wrapped steering wheel with mounted controls.